Bringing excellent performance in a super telephoto zoom lens, the Sigma 150-600mm f/5-6.3 DG OS HSM Sports Lens, designed for Canon EF-mount cameras, is optimized for full frame sensors and has a weatherproof construction. The lens features an aperture range from f/5-6.3 to f/22 and utilizes two FLD and three SLD elements for control over aberrations and distortion. It also features a Hyper Sonic Motor for fast, quiet autofocus and an Optical Stabilizer with an accelerometer for improved panning performance and reducing the effects of camera shake. 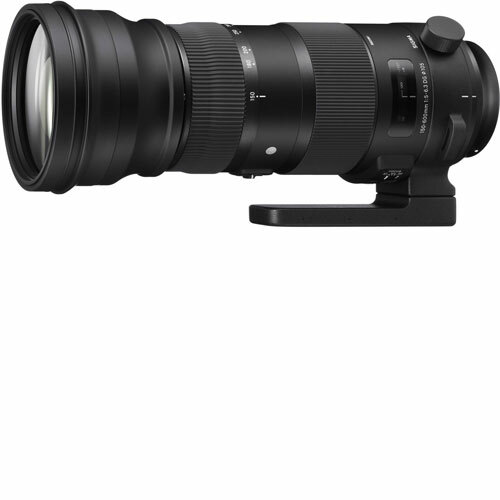 Sigma 150-600mm f/5-6.3 DG OS HSM Sports Lens is available for rent or hire from RENTaCAM Sydney.